From Commit This To Memory (2005), Even If It Kills Me (2007), My Dinosaur Life (2010), and now with their fifth album, Go, Motion City Soundtrack is back and better than ever. Their latest album is a stunning compilation for a summer excursion and it explores new depths with profound lyrics unfolding their past relationships and new beginnings with themes of love, life, and death. The instrumental, low piano tones, and Pierre’s whispers in “Everyone Will Die,” “Son Of A Gun,” and “Happy Anniversary” are the signature sounds of the darker side of the album. Go is a self-loathing yet ironically upbeat album that makes a mature statement in the band’s 10-year stretch. 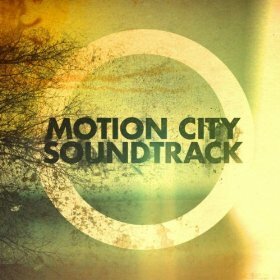 Welcome back Motion City Soundtrack.